Nice! I suppose it will be possible to add custom icons as well if the player has one? I suppose it will be possible to add custom icons as well if the player has one? 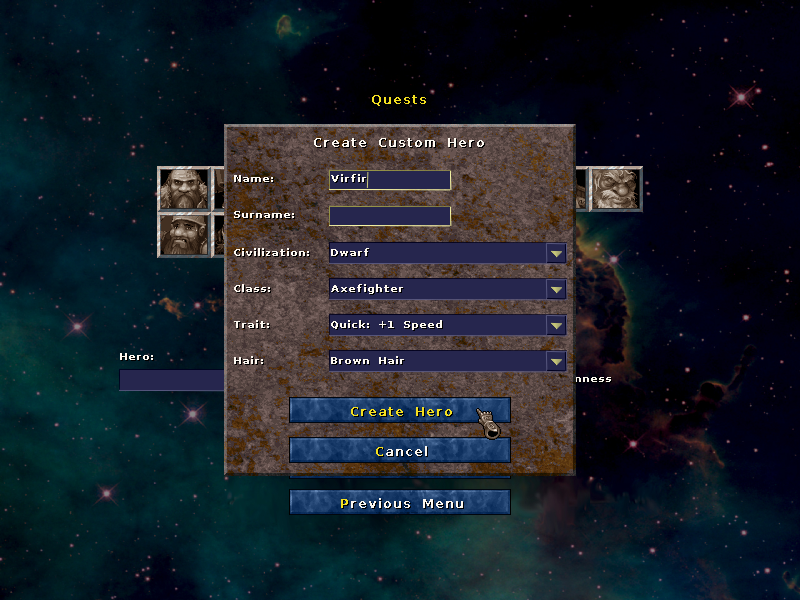 Not through the normal interface (since doing that would allow the player to choose icons which would have nothing to do with the unit type in question), but it is possible by editing the new /wyr/heroes.lua file where heroes are saved. Using the "Icon" field allows setting an icon specific for that hero, and it is also possible to set a "HeroicIcon" (an icon the character uses if it is level 3 or higher).